Just what is “Vitamin” B15 anyway? There is much confusion surrounding Vitamin B15, also referred to as pangamic acid, DMG, or calcium pangamate? More than likely, many of you have never heard of any of these terms. This would not be the case, however, if you lived in Europe or Russia where this vital nutrient was first discovered. Some of you may remember this controversial substance from the 1970’s when it was banned in the United States by the FDA. When researching Vitamin B15, there are many online resources (both amateur blogs and professional websites) that incorrectly label Vitamin B15. Some claim it to be pangamic acid, while others claim it to be calcium pangamate. There are also sources that claim it to be N, N dimethylglycine (DMG). Some websites suggest that Vitamin B15, pangamic acid and calcium pangamate are synonymous terms. So let’s take a look at each in an attempt to clarify. It is clear from the above definitions that these are three different compounds that should not be construed to be the same thing. To confuse the matter, even more, the meaning of Vitamin B15 differs depending on geographic location. The United States infers that Vitamin B15 is pangamic acid; while Russia infers that Vitamin B15 is calcium pangamate. But not the same calcium pangamate listed above! In Russia, it is believed to be a combination of the calcium salt of pangamic acid (calcium pangamate), calcium gluconate and N, N-dimethylglycine (DMG), which they call Calgam. Now try to be patient even though you may feel that you have just been thrown into the deep end of chemistry terminology. It will all come together as you keep reading…I promise! In the 1960s, Bukin and Garkina of the Russian Academy of Medical Sciences filed for a US Patent for a process of manufacturing pangamic acid as a calcium salt. The patent was granted in September of 1975 and they called their product “calcium pangamate”. However, as you just learned, this product was actually a mixture that included the calcium salt of pangamic acid, calcium gluconate and N, N-dimethylglycine (DMG). Again, it was this mixture that was considered to be calcium pangamate (Vitamin B15). Since 1962, it has been used for a variety of health conditions in Russia. In 1967, this calcium pangamate product was exhibited at the Montreal Expo under the label of Calgam. In the United States, the FDA currently recognizes so-called “Vitamin B15” as pangamic acid, but it is not acknowledged as a Vitamin. The FDA banned its use claiming it to be an “unsafe food additive”. Since pangamic acid is an ester derived from gluconic acid and N, N-dimethylglycine (DMG), any products containing these compounds were also banned. In brief, esters are organic compounds that result from the interaction between acids or alcohol. The FDA has also banned the Russians’ product, Calgam, despite all of their research and reported health benefits. So why then would the FDA ban pangamic acid? And what do they mean by “unsafe food additive”? 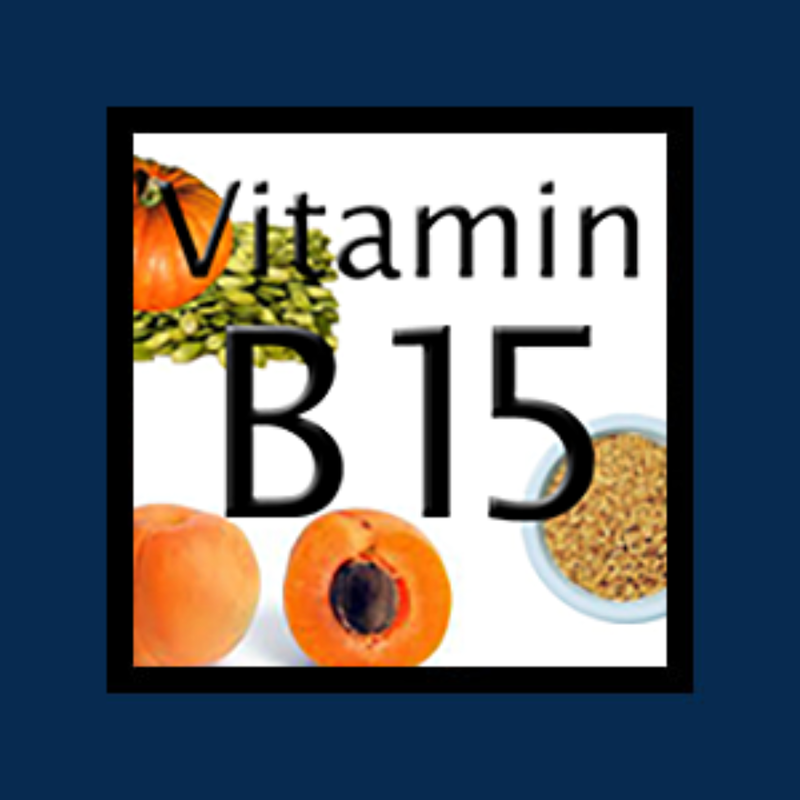 Find out the truth about Vitamin B15 by reading…Vitamin B15 is Unsafe: The FDA Contradiction. I guarantee you’ll be shocked! Why do you need Vitamin B15 (“Pangamic acid”)? Dr. Roger V. Kendall, currently considered the leading expert in organic biochemistry, has been a pioneer in DMG research and therapeutic applications. With over twenty-five years of experience he presently holds seven U.S. Patents and two European Patents, six of them relating to DMG alone! Interestingly, it’s the biochemists and chemists that have paved the way in revolutionary health research. Such is the case with Dr. Kendall and Dr. Linus Pauling (who did ground-breaking research regarding high-dose Vitamin C therapy.) However, despite their contributions to human healthcare as it relates to the biochemical aspects of the human body, these doctors (and so many more) have been shunned by the modern medicine profit machine which includes Big Pharma and insurance companies. The following dosages have been shown to be important to human physiological metabolism. Based on research, 125 mg – 2500 mg per day in divided doses is most commonly used. Although it can be taken with meals or on an empty stomach, it is most often advised to take DMG between meals. Because DMG breaks down quickly in the body, it is best to divide the doses throughout the day. Research has shown tolerance of upper limits of DMG to be extremely high. Doses as high as 6000 mg per day have been taken without any signs of toxicity making DMG is an extremely safe nutrient.